History, it is said, is written by the victors. But consider who they were and the probability that the annals of human experience have been accurately recorded becomes mired in doubt. Maniacal emperors, murderous zealots, and despotic psychopaths have connived their way to power for millennia. Even those rulers who were moderate or beloved were not immune to vaingloriously tilting the scales of perpetuity in favor of their accomplishments, or those of their favorites, for that is human nature. And what of the vanquished? What of their stories: those who were present, who contributed, but were suppressed: the talented but disconnected, the brilliant but bypassed? For every Telford, Hume, or Watt inscribed for eternity as the discoverer of this or the inventor of that, how many more will we never know, who were just as close, no less visionary, but lacked the glint of timing, the benefactors, or the fateful stroke of fortune? And so it is in the field of art where we are prescribed by those in power, the proletariat’s tidy cultural diet of laws, from which we mustn’t err for fear of being thought the ignorant carriers of aesthetic pestilence. In a perverse and reverse alchemy, art history is written around the golden careers of certain artists who are promoted as shorthand motifs for various styles, eras, or movements, with all others edited out or retained as footnotes, orbiting dust in the dark peripheral clouds of obscurity. Imagine that Picasso, Pollock, Rauschenberg, Stella, or Rothko had not lived. Were they the only ones doing what they did with paint? Geniuses? A ludicrous assertion; they and all others of canonical repute were simply…there. Noted by a gallerist, hinted at in a review, or assisted by a supporter. Picasso and Braque were not included in the first exhibition of Cubist work at the 1911 Salon des Indépendants, but they are considered the founders of the style. Sometimes politics, nepotism, race, sexism, or geography are factors, so that for every Jacques Louis David there are many more unknown Gabrielle Capets; for every Andy Warhol, there is a Carol Rama and dozens like her whom we may never know, as the painter Annie Kevans explores in her work. The most famous artists known to us are so because the public has been deluded into believing that they were unique, by the unrelenting process of mythologization which roils around them, furiously maintained by collectors, auctions, retrospectives, museums, and critics. Art history may have had different players, alternative firsts, but at some point someone would have dripped and poured their way to renown in place of Pollock—it was hardly nuclear fusion—as every artist we are aware of today would have had their replacements. The names don’t matter; it’s the sociopathic recording of so few of them for easy posterity, and for commerce, that does. That process continues unabated as art world influencers promote the arrant nonsense that star artists are uniquely important, not because they are—no artist is, or ever was—but because too much has been invested in them to permit any other reading. The art world’s Stasi mustn't allow its house of cards to collapse. Such critical fascism is dangerous because it denies the true representation of what is actually happening in any given period, and prevents more reasoned and fuller discussion of a greater number of artists. It also petrifies contemporary art discourse within either the carcasses of a few artists who are long dead—whether literally or creatively—or the rising suns of younger, often, mediocre artists, swaddled in the invisible new clothes of their galleries’ press machines. Of the former, such oxygen thievery is exemplified by Richard Serra and the ubiquity of his titanic manufacturing conglomerate. Nary does this McDonald’s of the art world miss an opportunity to dictatorially stomp his jurassic footprint across the globe on the grounds of any museum that will house one of his insufferable metal tantrums. Concurrently the slobbering industry around him—headed by Zwirner and Gagosian—proceeds with a napalming program of international exhibitions and unnecessary retrospectives that do little more than highlight the utter bankruptcy and irrelevance of his work in 2016, while frantically beating the expired horse into one more hopeful critical shiver. The staggering arrogance and incomprehensible expense of his output beggars belief, but no doubt the money involved in the Serra industry will ensure that it survives. Imagine the vast spaces—literal and critical—that would yawn open to interesting, lesser or unknown artists if he were consigned to history’s scrapyard. No amount of scouring could produce anything of note to write or discuss about him that hasn’t been said, other than this suggestion. 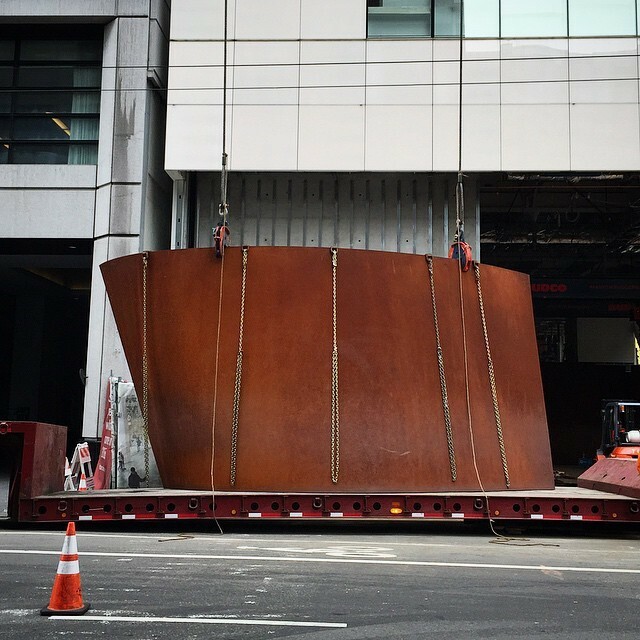 And business is brisk: the new San Francisco Museum of Modern Art has predictably calcified itself with a 214-ton Serra colossus, touted only by its measurements and stats. With Serra’s output accompanied by fawning press releases in the New York Times declaring him “certainly today’s greatest living sculptor of Minimalist abstraction,” is anyone even considering alternatives? 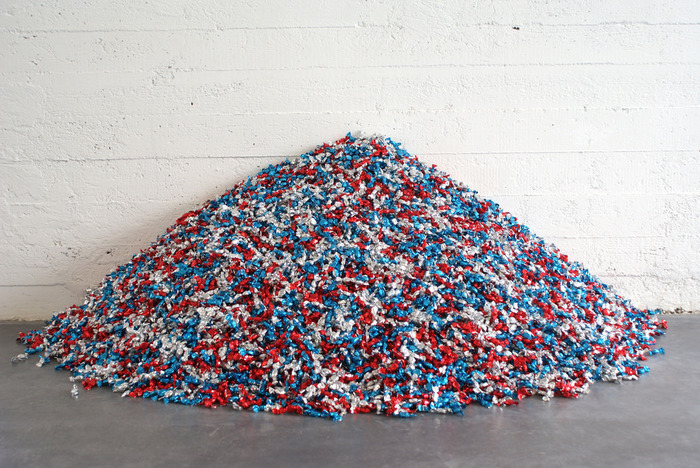 Felix Gonzales-Torres is an example of how one person’s disproportionate presence as a go-to motif for a particular moment suffocates the reputations of equally deserving artists. As the Princess Diana of art he will never grow old, his work will not decline, his oeuvre redacted to perfection. Given what the art press, and the gatekeepers of his legacy have decreed of his talent one might be forgiven for thinking that artists stopped living with HIV, or reflecting upon its influence, immediately after his death in 1992, such is the dearth of coverage on the subject since. Gonzales-Torres’ cultish disciples have successfully positioned him as a one-man industry with a monopoly on deathly sympathies, trauma and romantic loss. From his feathered position at the De La Cruz Foundation to his crass, corrupt selection as the United States posthumous representative at Venice in 2007, his reputation has been burnished and distorted beyond all reason. How did anyone living know how he would have wanted his work represented at Venice? He was a fine artist, but not more deserving than many others working in a similar vein, or of lesser privilege. His works were simply better connected. How many are as familiar with the work of John Wilcox, who lived long after his diagnosis, until 2012? How interesting to know where the story went for artist chroniclers like him who survived beyond the holocaust of eighties New York. But perhaps survival isn’t tragic or melancholy enough? 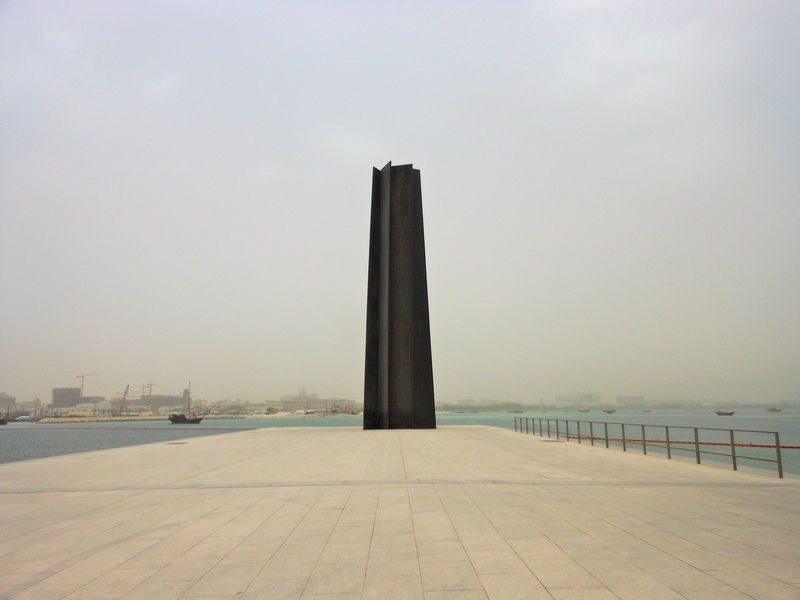 Similarly, Robert Blanchon’s work is as elegiac, heartbreaking and potent as Gonzalez Torres’. Both Wilcox and Blanchon were contemporaries of at least commensurate perception yet they remain woefully under known. And today, who is aware of the vital intergenerational resource that is Visual AIDS, where younger artists living with today’s HIV-related challenges are forging new ideas? And on it goes; tired relics retain bloated art world real estate, from column inches to floorspace. If you like words, Barbara Kruger or Jenny Holzer are still obscenely, the textual standard, despite all these new artists; see those Faberge Follies Jeff Koons and Damien Hirst for outdated ostentation and pointless pop trinkets that no other artists producers could afford to make. For a refutation of such opulence note the gesture of British artist K Yoland who walked out of the Federal Reserve Bank of Dallas with half a million dollars, impressive and useless, shredded as they were. Note Marina Abramovic for media saturation and Jersey Shore-style star-gazing antics in performance art. If all performance artists were required by law to see Larry Kramer’s The Normal Heart, the discipline would be less populated and better for it. Richard Prince’s primary auction activity comes in the form of desperate bids for attention through stealing from younger artists; Rachel Whiteread still casts space emptier than her ideas. Last year at Luring Augustine, the gallery was “pleased”—not excited—to present her show Looking In. We might look to Rob Mulholland’s Cloud Catcher, or “Lana Newstrom,” for some fresh thought, especially considering that the latter artist herself was cast in empty space. See Cindy Sherman if you are James Franco, Pace Gallery, or you like masked portraiture rendered obsolete by every enhanced selfie on the internet. Ai Wei Wei garners continued accolades as the art world’s biggest victim—despite stiff competition from Tania Bruguera, who at least is aware of her privilege. Is it brave of her to protest in Cuba as politics and normalizing relations with the west overtake her? Meanwhile, lesser funded, more vulnerable artists attempt to fight government abuses unheralded, and often die for it with Pyotr Pavlensky, Kais al-Hilali, Nour Hatem Zahra, and Voina among them. In their seriousness and anguish such activists do rather expose Banksy’s artistic wardrobe as all fur coat and no knickers. Still other artists are promoted as stand ins for their race or cultural background at the expense of critical rigor. After the precision, wit, and social surgery of David Hammons and William Pope.L, today the hackneyed use of racialized sexual clichés by Kehinde Wiley and Kara Walker are still overly revered, as well as the art world’s slavish adoration of the latter and hypersensitivity on her behalf. Of the newer generation, it is to be hoped that interesting artists such as Sam Vernon and Allison Janae Hamilton will have careers as illustrious as Jacolby Satterwhite’s. A reason for younger artists being whipped up by the maelstrom even though the work lacks, is that they are perceived as embodying rebelliousness, or social cache, or prodding controversy—the vacuous Terence Koh, or Dash Snow and their ilk for example, mere flecks in comparison to the substantive William Mortensen, or even Wolfgang Tillmans. Galleries are always looking for the new, the next rising sun, and quality is secondary. Here, Dan Colen is of note. His career with Gagosian Gallery began in the toilets there, where he first showed his work. The only pity is that it found a way out. His current exhibition at Dallas Contemporary is a rueful example of how effective a big name gallery can be in presenting visual gibberish as worthwhile art. 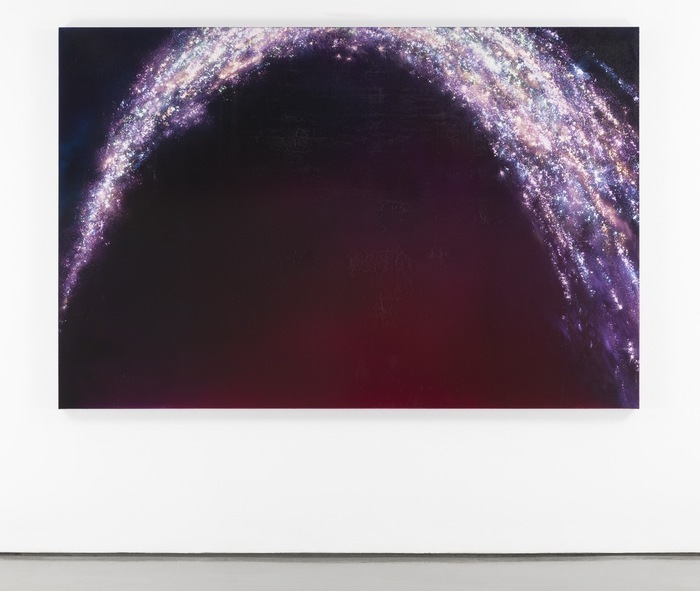 Colen offers three groups of totally unrelated paintings: the first made with gum; the second consists—without apparent irony—of garbage; and the third is a group of paintings derived from Disney’s Fantasia. This schizophrenic display seems to be made by three separate artists, and intrigues as to how many painterly personalities Colen needs? As one guest at the opening commented, “how can he be trusted?” And yet, the stage magician-ship of press and promotion is how people gain traction, market value, and a veneer of legitimacy that sets them on the road to historical resonance. If he is aware of such smoke and mirrors Colen’s usurping of Disney’s fantasy is quite smart. Currently Dallas Contemporary’s series of exhibitions—including one by a fashion designer—constitutes nothing more than a billionaire’s showroom, as the bewildered institution stumbles ahead in its process of artistic falsification. It is an appalling and financially motivated debacle that the board should be ashamed of, not least for the traitorous disloyalty they show to Dallas artists, in presenting such a cynical set of exhibitions as culturally valuable. 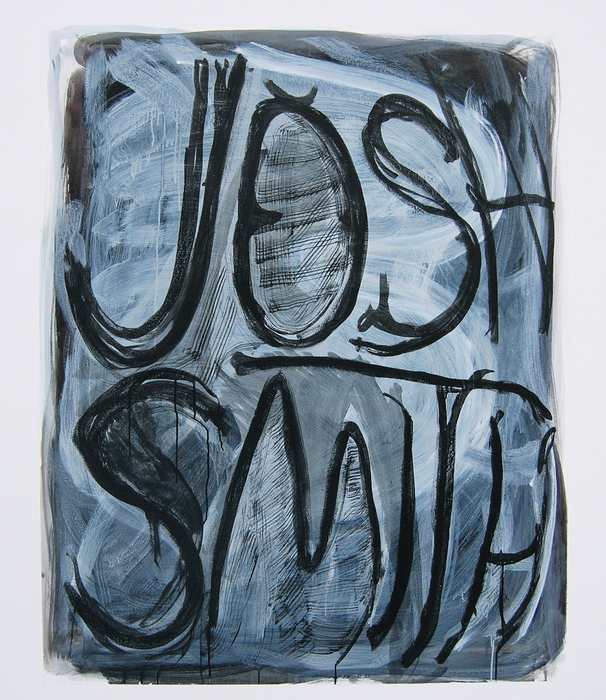 Luhring Augustine describes Josh Smith as being “distinguished” by his “mastery of multiple mediums.” Upon viewing, Smith’s drooling mark-making and painterly drivel exposes this online biographical marketing tool for the outrageous lie that it is. What arrogance is it that imagines such literary lunacy to be effective in the face of stubborn evidence to the contrary? And yet, seemingly, it is working. Smith has a career that most artists won’t know. It is to be marveled at whether gallery or artist have even a twinge of discomfort at peddling such Trumpian fraudulence. So many are the superior alternatives for those whose work ought to get such exposure that it is meaningless to mull over, but the English painter Jo Wilmot’s complex union of bold yet nuanced color, seen in works of knowing, tropical decadence, and faded glitz are a solitary example of the general style. The totalitarian propagandizing of art history to the benefit of so few leaves out, and behind, too many more. This cavalcade of examples whether well-known names of yesteryear constantly rammed down the throat of the collective viewership as being unquestionably vital to understanding art, or newer artists churned out and disproportionately promoted beyond their talent, the totalitarian propagandizing of art history to the benefit of so few leaves out, and behind, too many more. Of course there will never be room for all those deserving of exposure. Taste is mercurial as to defining who they are, and occasionally artists who enhance social dialogue do find their way to attention among the fray of powerbrokers’ agendas. But otherwise it is time to switch off the life support of exhausted careers, to render established names arrested and to engage in expansive research of as many practitioners as possible who are working today, so that in the future a more honest bathymetry of what artists are doing, and saying, in the early twenty-first century might be recorded. Darren Jones is a Scottish, US-based critic and artist. His forthcoming book, with David Carrier, The Contemporary Art Gallery will be published in 2016.